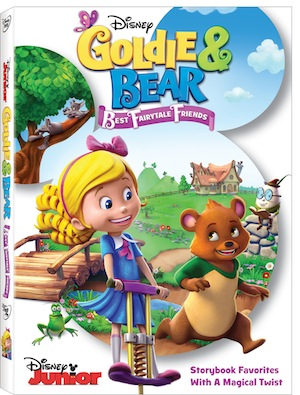 Join best Friends Goldie and Bear on their adventures through Fairy Tale Forest in Disney Junior’s hit series Goldie & Bear: Best Fairytale Friends on DVD April 19th! It includes 7 episodes for over 2 hours of classic fairytales with a twist! Plus FREE Exclusive Playtime Fun Activity Kit with re-usable stickers, games and more!